For centuries, matchmaking was mostly left in the hands of parents and older relatives. During most of the 20th century, Americans chiefly relied on friends – and to a lesser extent family and even coworkers – to meet their significant other. 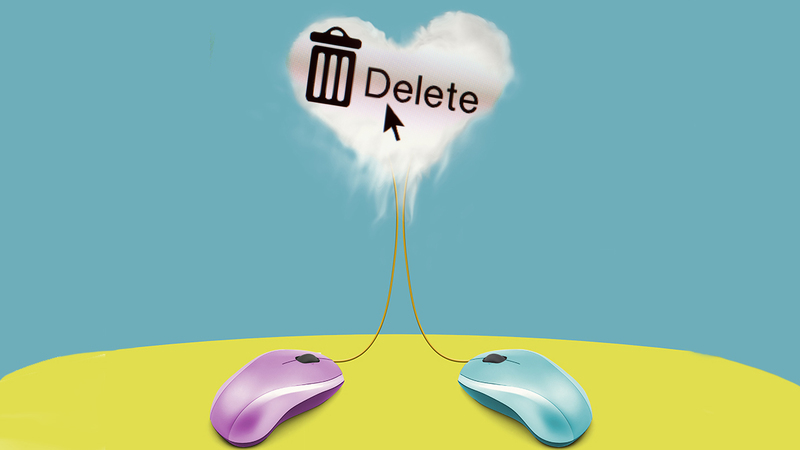 Computer-assisted matching started as early as 1959, but the biggest shift occurred in the mid-1990s, with the birth of the first online dating websites. Now there is no turning back: Matchmaking and online dating has become a $2.5 billion dollar industry, and about 25% of U.S. couples now meet on the internet. While most early dating websites operated as simple platforms where users could freely browse and contact members, newer sites have made matchmaking technology an important value proposition. The site eharmony asserts using a “scientific approach to matching highly compatible singles”, based on “29 dimensions of compatibility”. OKCupid claims to “do a lot of crazy math stuff to help people connect faster.” But are the lovelorn better served for it? In a recent study, we (with co-author Kaifu Zhang from Carnegie Mellon University and Alibaba Group) examined the fundamental conflict of interest that exists between matchmakers and their clients: Upon finding a compatible partner, users typically terminate their site subscription, hurting the firm’s revenue and cash flow. It is therefore unclear whether profit-maximizing sites would strive for the most effective matchmaking technology, or deprioritize innovation. Of course, a platform must be good enough for customers to join it in the first place. However, other researchers have suggested that the effectiveness of matchmaking algorithms sometimes fall short of the sites’ claims. The problem isn’t limited to dating websites. A senior executive at a top job-hunting site (whose revenues similarly depend on subscription fees) told one of us: “Our biggest challenge is exactly that our technology is too good. Small employers find suitable hires too quickly, leading to a very high churn rate.” The executive explained that growth was getting costly as it required a large salesforce. The firm was therefore testing a less effective matchmaking technology, “on a small scale”. To be clear, we are not saying that using inferior technology on purpose is a widespread practice in the matchmaking business. Nevertheless, it is worth examining the inherent dilemma at hand, as it offers potential learnings for many other industries where firms operate as intermediaries. Beyond dating and job-hunting sites, let’s not forget business-to-business procurement sites that match customers with suppliers (e.g. whole distributors matched with suppliers in China). Our theory can even be applied to industries beyond matchmaking platforms, where a product/service enables consumers to achieve a goal and consumers will stop using the product once they attain the goal. While analyzing whether biotech firms should invest in a cure, Goldman Sachs recently came across this issue. The analysts claimed that “[w]hile [delivering one shot cures] carries tremendous value for patients and society, it could represent a challenge for [medicine developers] looking for sustained cash flow.” The analysts’ suggestion was, as a CNBC reporter put it, that “cures could be bad for business in the long run”. According to our game theoretical analysis, two main factors can hinder the matchmakers’ motivation to offer a better technology. First, there is the fact that users have a better chance of finding a good match in a larger community. Therefore, as a firm reduces its matchmaking effectiveness, more consumers are left unmatched as time goes by. While these users may be disappointed, their continued presence on the platform benefits the newly arrived consumers. As the pool of prospects grows (due to lower churn), it improves the experience for all successive users. In sum, while earlier consumers suffer from suboptimal matchmaking algorithms, lesser technology can engender positive network effects for a firm. The second impediment to technology innovation is, somewhat ironically, uncertainty over consumer patience. Take a hypothetical user, Suzie, whose seven-year marriage recently ended. She is keen to date again, but isn’t in much of a rush to find Mr. Right. Suzie is happy paying a small fee each month to meet new people while keeping her options open. Now consider another user, Abhi, freshly returned from a long overseas assignment. After a string of fleeting relationships, he’s keen to settle down, with a view to start a family, like most of his college friends have already done. The sooner he’s out of the “meat market” as he calls it, the better. The million-dollar question is: Are there more Suzies or Abhis in the market? Suzie doesn’t need or want better technology. She definitely won’t pay for it. Fortunately, our model also describes a few factors that can incentivize firms to strive for better matchmaking technology. The first one is competition. Sufficiently intense competition tends to reduce profit margins as it pushes down subscription fees. As the monetary worth of each user drops, it may reduce the firms’ angst over driving their cash cows away. Better technology starts to be seen in a different light – as a potential source of competitive advantage. By contrast, in the absence of competition, the very ability of the firm to charge more also increases its reluctance to part too soon with its valuable clients. If consumers have nowhere else to go, a less effective matchmaking technology may induce them to stay longer in a relationship… with the firm. Another way to incentivize matchmaking firms to improve their technology would be to change the subscription-based revenue model to a commission-based model, in which matchmakers charge users based on successful matches. The commission-based model can align the interests of matchmakers and consumers. In fact, the headhunting industry and the high-end matchmaking sites, such as Selective Search and Janis Spindel’s Serious Matchmaking, already operate this way. However, most online dating websites would find a commission-based system difficult to implement since the actual “transactions” (dates) proceed offline rather than online, where they can be verified and accordingly charged. Instead, in these and other cases where commissions are impractical, matchmakers could charge a sizeable, upfront payment to cover a longer subscription period. Such locking-in of consumers would help alleviate a firm’s concerns about customer churn and increase its willingness to upgrade technology. Meanwhile, consumers asked to pay a high fee upfront would be more likely to choose the matchmaker with the best technology, most especially if they are serious about finding The One. Hopefully, consumers able and willing to commit to matchmakers will get the matchmakers’ sincere love (and best technology) in return. The key to achieve this mutually beneficial outcome is to resolve the matchmakers’ strategy dilemma, making sure their revenue is not negatively affected by their technology innovations.